APU-B | Equipment Source Inc.
Cuts down on unnecessary wear on your truck engine, and reduces fuel costs due to truck engine idling. 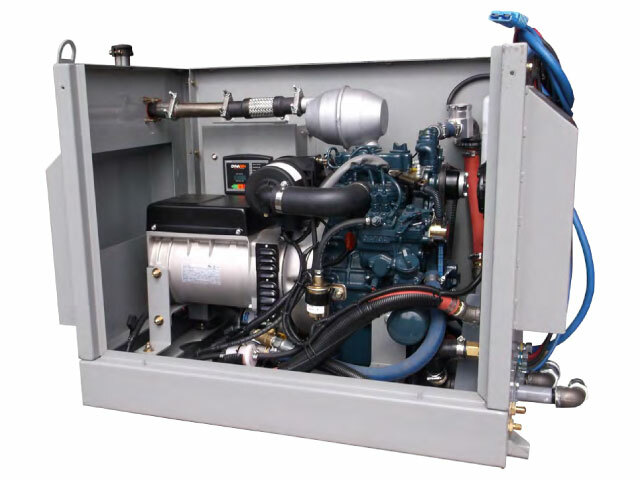 The ESI-built APU-B is a portable diesel engine generator set with a heat exchanger system. 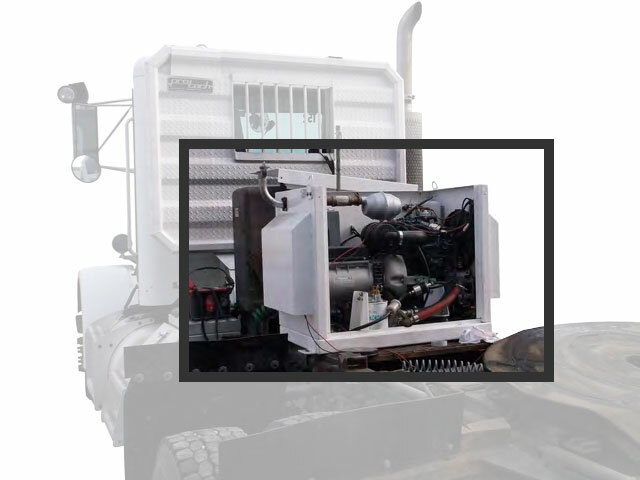 The heat exchanger system transfers heat through coolant to another circuit such as a truck engine. The secondary coolant circuit has integrated quick disconnects and a circulation pump to maintain coolant flow. In addition to providing heat, the unit also provides AC power for auxiliary use. 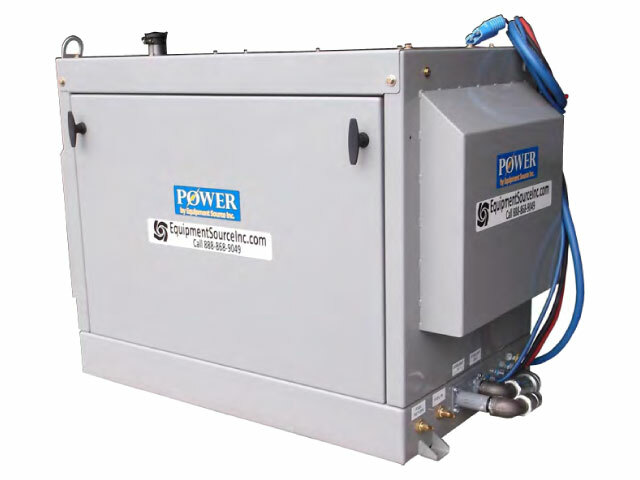 This auxiliary power unit is designed for outdoor use and has been tested in extreme arctic conditions. Please contact salesperson for dimensions.